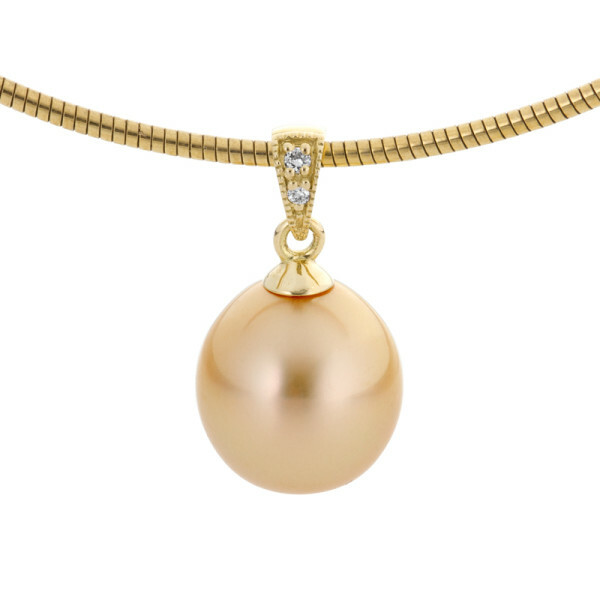 The gorgeous soft hues of this gold pearl are complimented perfectly with this art deco inspired setting. Tiny white diamonds give a hint of sparkle for a special finish. Beautiful.